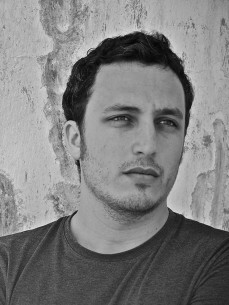 He is an artist of the new batch of Spanish producers that is gaining attention in the Electronic Dance Music Scene. Specialist creating energetic grooves while elegant ,creating music focused on the dance floor while using futuristic dark funk sounds... This is why his productions have taken the best charts and top sales lists last year receiving Chart and Dj support by many established artist like Carl Cox , Richie Hawtin , Paco Osuna ,Marco Carola , Umek , Dubfire, Carlo Lio or Stacey Pullen. After succesfully releases on 1605 ,Potobolo or Waveform Recordings, he has been called by Paco Osuna to be an active part of his "family", Mindshake Records, giving him a big chance to work exclusively , sharing the Label and Showcasing with major artists on the international scene . As DJ ,Fer BR was touring around Europe the last 4 years, spinning groove , funk , house and techno . Definitively one of the most creative Spanish artists and a perfect electronic music chameleon.